I do a good deal of traveling for business. When I'm on the road, I like to listen to podcasts as opposed to the radio or music. Well, I guess more accurately stated… podcasts are radio… just on-demand radio shows segmented by their different themes. Anyone who knows me knows that I'm a huge homer for podcasts. I love them mainly because the ones I listen to give me something to think (or even learn) about as I drive. One of the podcasts to which I subscribe is 99% Invisible. It's a show about "design, architecture, and the 99% invisible activity that shapes our world." It's a weekly show that has touched on stories as varied as the 24 second clock in basketball, cul-de-sacs, Busta Rhymes Island, and Billy Possum. It's not an understatement to say it's one of the many things I look forward to every week. I'm also passionate about the supply chain. It's what I live and breathe and one of the reasons I truly enjoy 99% Invisible. The supply chain is that… invisible, especially when the flow of products/ goods/information/services runs effectively and efficiently. So it's nirvana when the podcast I listen to talks about the industry I know so thoroughly. I do a small cheer knowing that this thing I do every day gets air play. 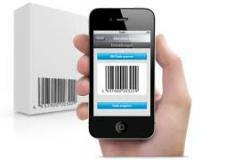 Recently, 99% did a show on barcodes – specifically the UPC. In this modern age, we take scanning products for granted. Barcodes are everywhere and seemingly on everything.